This collection features some photographs taken in a variety of abandoned asylums and hospitals between 2008 and 2009. Many are previously unpublished. Specifically excluded are the photographs featured in my "Negative Space" gallery show; those can be seen in this gallery. 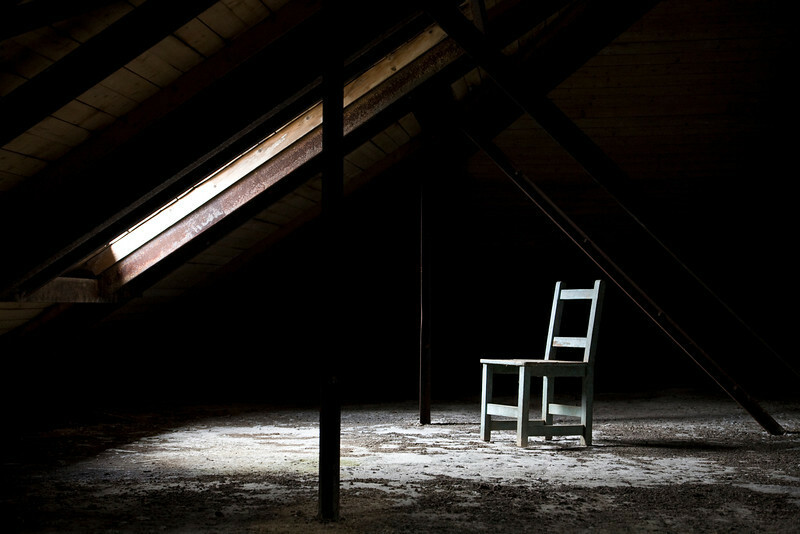 Chair underneath a dormer window in Stedman Hall's attic. Norwich State Hospital.